In the days before Keto it felt like Fast Food drive thrus were a necessity for a working Mom. But honestly, I now find that cooking my own food is actually pretty fast! 1. Rotisserie Chickens Are Ready to Eat Immediately. Rotisserie chickens are made fresh every day in the grocery store’s deli, which means they are hot and ready to serve right away. Most grocery stores keep them in a heated contraption so that you can bring it home and serve it right away. If you are running late and in need of a quick dinner, skip the unhealthy fast food joint, and instead grab a rotisserie chicken and bag of salad. My favorite is bagged coleslaw mix or a bagged Ceasar salad. Add your favorite keto dressing and dinner is on the table within 5 minutes! 2.Rotisserie Chickens are Budget Stretchers! Another benefit of rotisserie chickens is that they are usually sold as the whole chicken, although my grocery store sells ½ chickens as well as a container of just legs and thighs. With a whole chicken, you have more than enough to feed a family of 4-6 people. You can stretch the meal with a bag of frozen vegetables and rolls (for the non keto family members). A $10 rotisserie chicken plus your sides will feed an entire family for the approximate cost of a single meal at a sit down restaurant! Read my article on Doing Keto on a Budget here. 3.Leftover Rotisserie Chicken Makes Many Meals! Chicken is one of those foods that seems to have endless amounts of meal options. You might not be able to finish the whole chicken during one meal, so you can pull the meat off the bone and place it in a freezer bag. 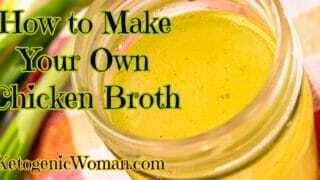 If you are really keen, you can even make your own homemade chicken broth with the carcass. Keep the leftover rotisserie chicken pieces in the refrigerator if you will eat it within a couple days, or freeze it for a future recipe. The leftovers from your rotisserie chicken be used for just about anything, from soup or chili to salads, sandwiches, wraps, main courses, casseroles, or enchiladas. 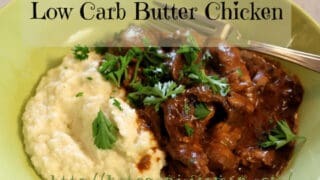 Chicken also happens to be a great keto protein food! The rotisserie chicken will be mildly seasoned, so the sodium content might be a little higher than chicken alone, but it is still very nutritious. A single serving of chicken breast, which is about three ounces, only has 3 grams of fat, 0 Carbs and 122 calories. 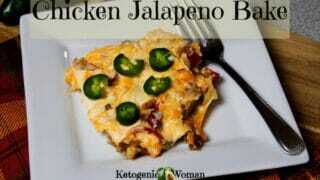 It has lots of protein at 22.3 grams per serving. Calories and fat are a little higher for thigh meat, though not by much. 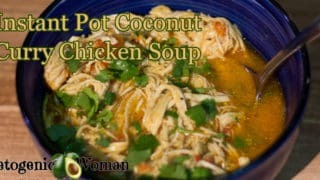 Chicken is also a good source of vitamin B6, iron, and vitamin A. Want to to make your own chicken instead? 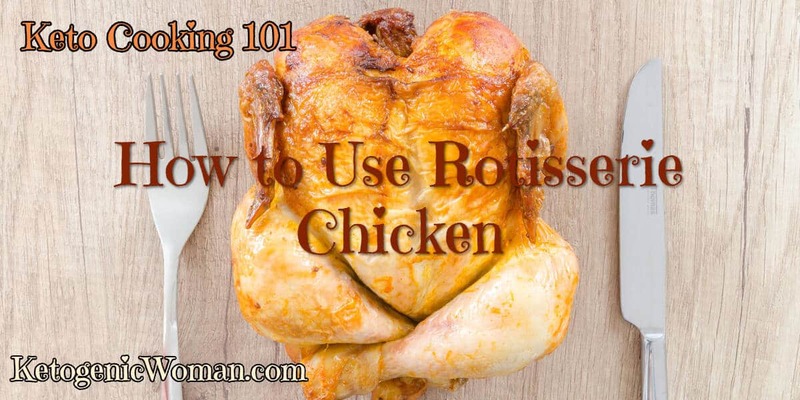 Save these Tips for Using Rotisserie Chicken on Keto! Tagged chicken. Bookmark the permalink.